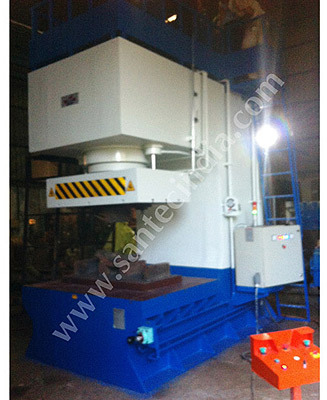 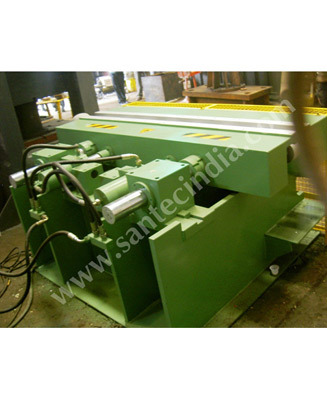 Santec Presents an innovative solution in the field of straightening technology with hi-tech Hydraulic Straightening Presses. 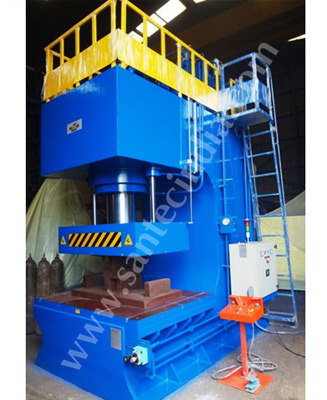 The press can efficiently handle round, flat and profile material of different hardnesses. 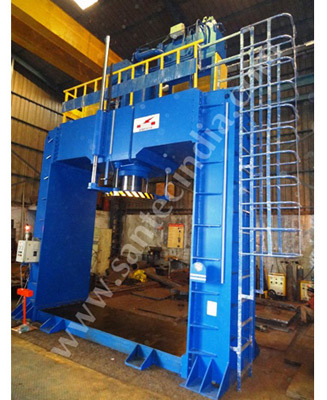 Our hydraulic straightening presses have a compact design with easy stroke control operation. 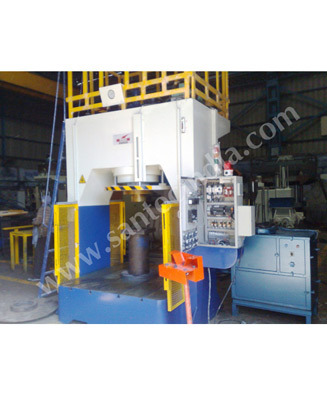 These presses are equipped with all the advanced features and provide great flexibility in operation. 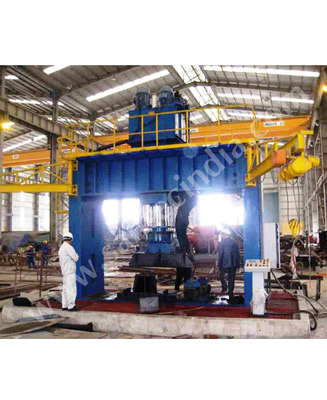 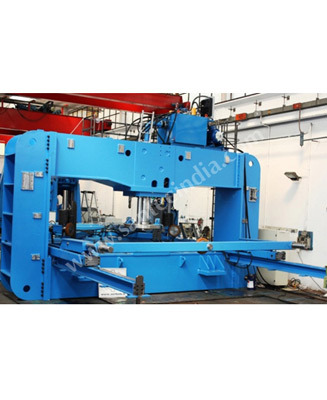 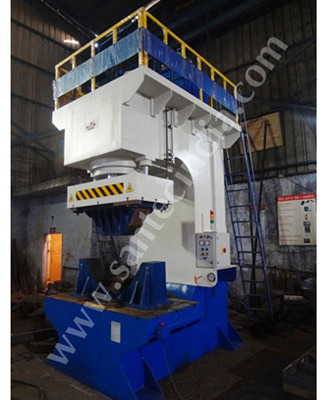 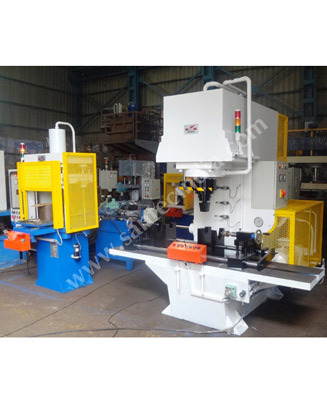 Available in either C-frame presses or Gantry style presses, hydraulic straightening presses are mainly used for straightening medium or thick sheet, section, tube or round bar. 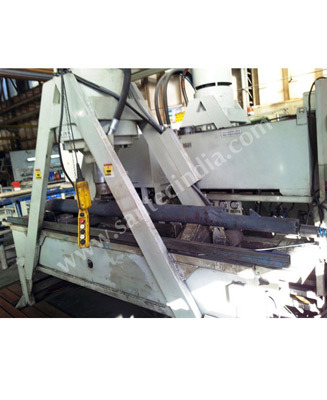 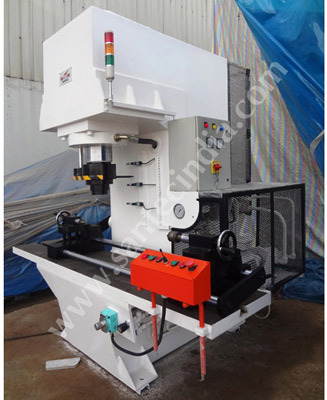 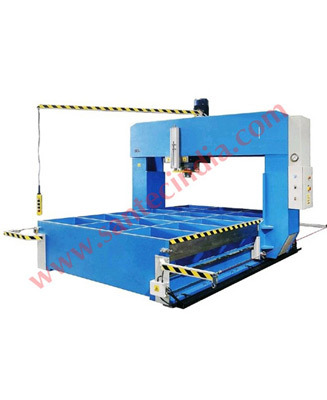 The workpiece or the part is manually loaded into the Straightening Press. 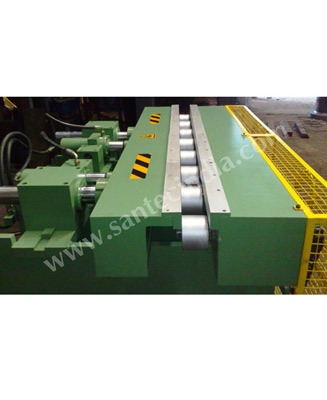 The part is clamped at centers (or rollers) and than rotated to measure the straightening by using dial indicators. 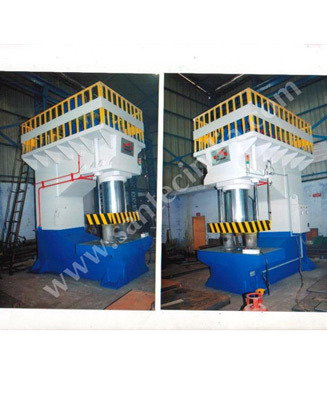 When the upper point is rotated vertically, the lever is pressed down causing the part to flex. 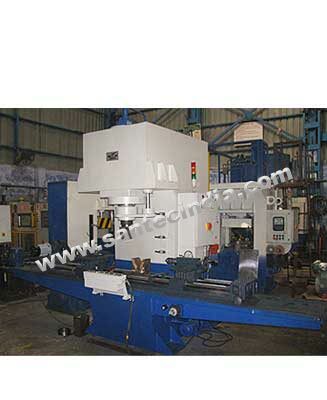 After each and every stroke, dial indicator shows the straightness of the part so that operator can alter the depth of stroke until the straightness is within tolerance range. 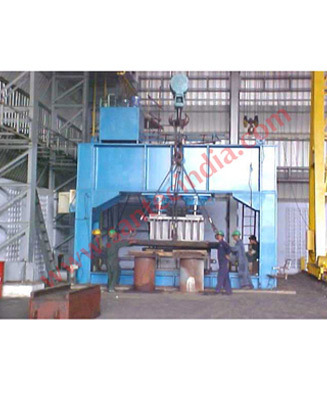 Repetition of the process occurs at determined points to achieve the specified straightness or TIR (Total Indicated Runout). 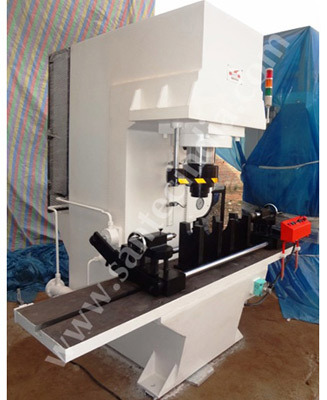 The heavy duty machine is used to integrate the basic design of large gap press placed on its back. 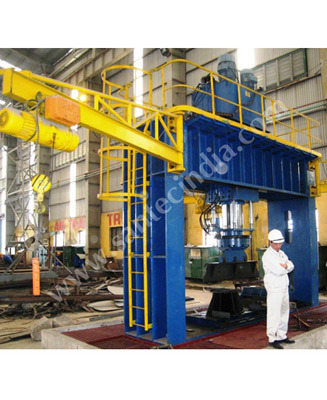 Power pack is provided behind the cylinder and the throat length & stroke lengths are sizeable. 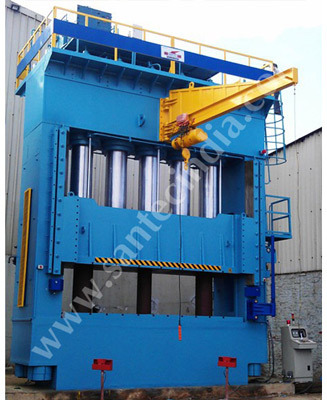 Major benefit of cylinder is the power to handle work that is lent into the press from overhead.